The pit is hot, the beer is cold and the doors are open for Chaps Pit Beef in Rehoboth Beach, DE. 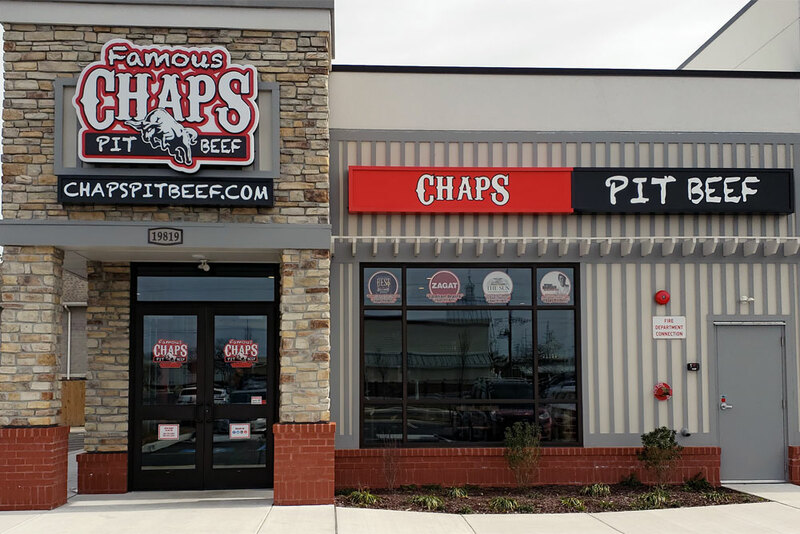 Brothers and Franchisees, Chris and Gary Desch, announced today that Chaps Pit Beef of Rehoboth Beach, Delaware, will be opening their doors at 10:30am on Tuesday, March 12th at 19791 Coastal Highway, Rehoboth Beach, DE (located in the Tanger Outlets). The residents of Rehoboth Beach, DE have long awaited for their chance to sink their teeth into a “World Famous” Chaps Pit Beef Sandwich and the wait finally over. The charcoal pit is fired up and ready to start serving up the same great quality that earned Chaps multiple awards and featured spots on the Food Network and the Travel Channel. However, Chaps Rehoboth added a surprisingly new feature that sets them apart from all the existing Chaps Pit Beef restaurants – a bar. Guests can now enjoy a Baltimore Style BBQ sandwich along with a cold beer or a nice glass of wine at the franchise’s very first bar. Chris and Gary Desch believe that their carefully selected craft beer and wine menu will take this already successful franchise to the next level of perfection. Started in 1987 as a popular small road side eatery with no electricity and a handmade charcoal pit, Chaps served up only one item – their “World Famous” Pit Beef Sandwich. Bob and Donna Creager, founders and CEO of Chaps Pit Beef, worked long and hard to grow their business into a one of a kind fast-casual Franchise that serves more than great pit beef sandwiches! Chaps creative and unique menu offers a wide variety of Baltimore Style BBQ, including double and triple meat sandwiches, each layered with savory charcoal grilled meats. Bob Creager’s years of hard work perfecting his product and brand has not only earned him the “Pit Master” title, but has set the stage for Chaps Pit Beef’s recent expansion as one of America’s fastest growing BBQ franchises. Not close to Rehoboth Beach, DE? Visit one of our other locations in Baltimore, Aberdeen, or Frederick, Maryland. Interested in franchising a Chaps Pit Beef? Visit https://chapspitbeef.com/bbq-franchising/ for more information.